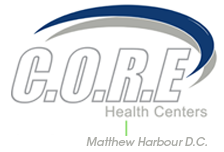 At CORE Health Centers, patients are able to receive full evaluations, diagnostic testing, x-rays, treatments, therapies, and more all in one convenient location. CORE Health Centers offers Chiropractor treatments designed to provide non-narcotic, non-surgical solutions to pain relief and rehabilitation. The Right Ashland KY Chiropractor Care for Your Pain! At CORE Health Centers, we believe that every human being should experience a pain free life. It is our mission to provide our patients throughout and around Ashland KY with the highest level of chiropractor services and rehabilitative care available. It is our goal to provide convenient, cost effective chiropractor services that will help each and every one of our Ashland KY patients reduce levels of pain, restore proper function, and most of all, get back to living a full and active life! Over the years, managing pain usually meant having to take dangerous pain pills or undergoing painful surgery. At CORE Health Centers, our Ashland KY chiropractor team is changing the face of pain management by utilizing the latest chiropractor services, treatments, and technology to provide the most accurate diagnosis and comprehensive plan of care possible. To help provide a solution to the growing numbers of individuals suffering with chronic pain, CORE Health Centers offers Ashland KY chiropractor services to help provide you with a pain free life. CORE Health Centers is able to evaluate, diagnose, and treat the root causes of chronic pain symptoms with our chiropractor services without having to rely on harmful medications or painful surgery. If your daily life is being affected by pain, our Ashland KY chiropractor services team is ready to help relieve your symptoms and get you back on the road to a pain free life! If you live in or around Ashland KY and suffer with any painful conditions, we strongly suggest that you schedule a complete pain assessment at any one of our convenient CORE Health Centers chiropractor services locations today. Contact CORE Health Centers by calling us or Requesting An Chiropractor Service Appointment online today. If you live in or around Ashland KY and suffer with any painful conditions, request an appointment at any one of our convenient CORE Health Centers Chiropractor Services locations today. 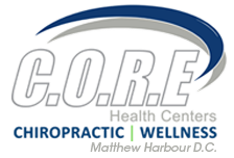 CORE Health Centers is a chiropractic facility that provides chiropractor services for patients with chronic pain. CORE Health Centers has three locations located in Ashland KY, Beaumont KY, and Gorgetown KY. CORE Health Centers’ chiropractor services consist of chiropractic treatments for Hip Pain, Knee Pain, Ankle Pain, Foot Pain, Head Pain, Neck Pain, Back Pain, Lower Back Pain, Shoulder Pain, Arm Pain, Wrist Pain, and Hand Pain. CORE Health Centers’ chiropractor services can benefit kids, adults, and seniors with chronic pain, scoliosis, Neuropathy, numbness, Arthritis, Disc Degeneration, Fibromyalgia, Headaches, Migraine, Tension, Cluster, Herniated Disc, Joint Problems, Muscle Pain, Muscle Spasms, Spinal Stenosis, Subluxations, and Whiplash Pain. CORE Health Centers provides their chiropractic services to the communities of Ashland KY, Catlettsburg KY, Flatwoods KY, Grayson KY, Russell KY, Greenup KY, Boyd County KY, Louisa, KY, Ironton, OH, Carter County, KY, Lexington, KY, Nicholasville KY, Harrodsburg KY, Midway KY, Versailles KY, Woodford County, Tates Creek, Hamburg, Beaumont, Meadowthorpe, Georgetown KY, Paris KY, Frankfort KY, Cynthiana KY, Sadieville KY, Williamstown KY, Stamping ground KY, Peaks Mill KY, Corinth KY, and the surrounding communities throughout the states of Kentucky.  Copyright © 2016 CORE Health Centers. All Rights Reserved.